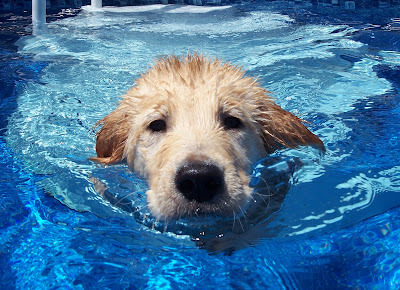 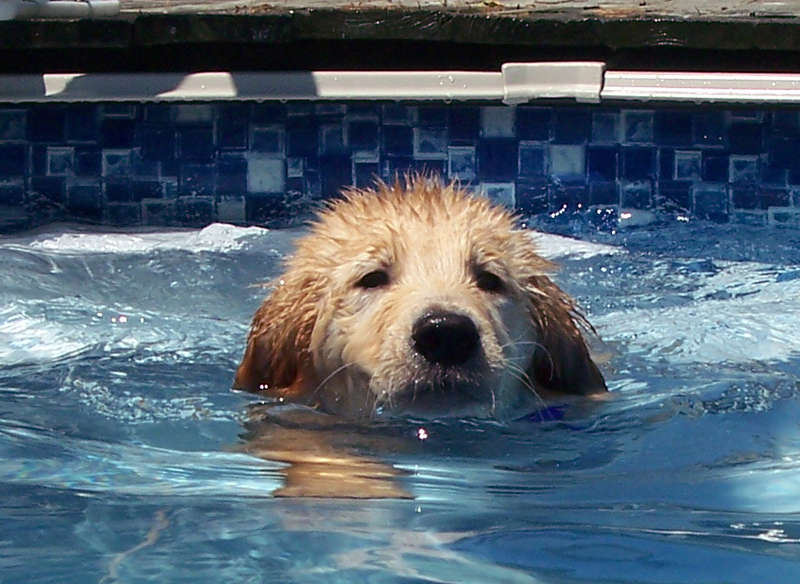 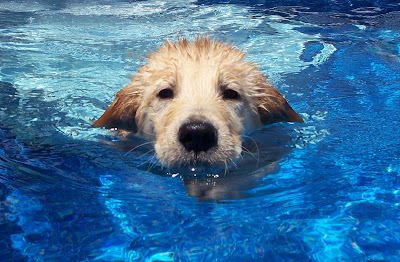 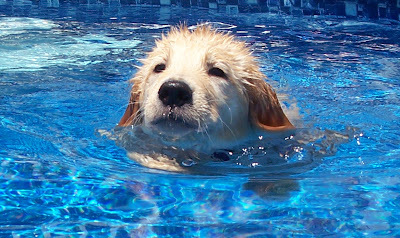 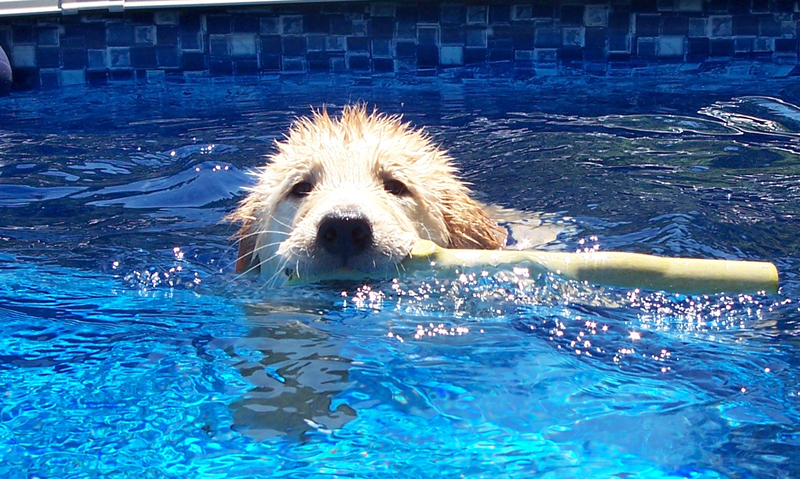 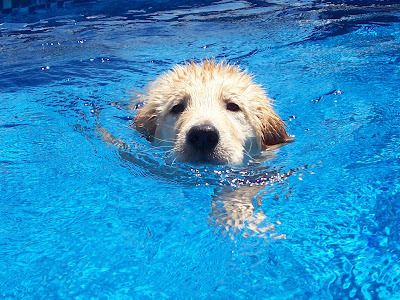 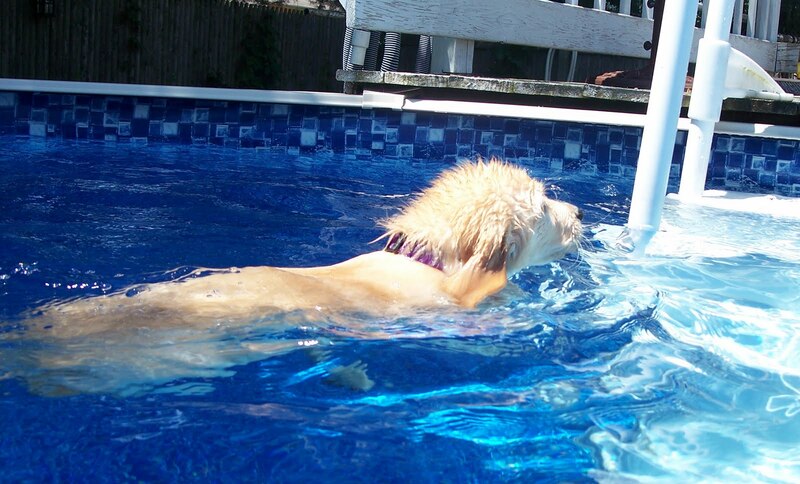 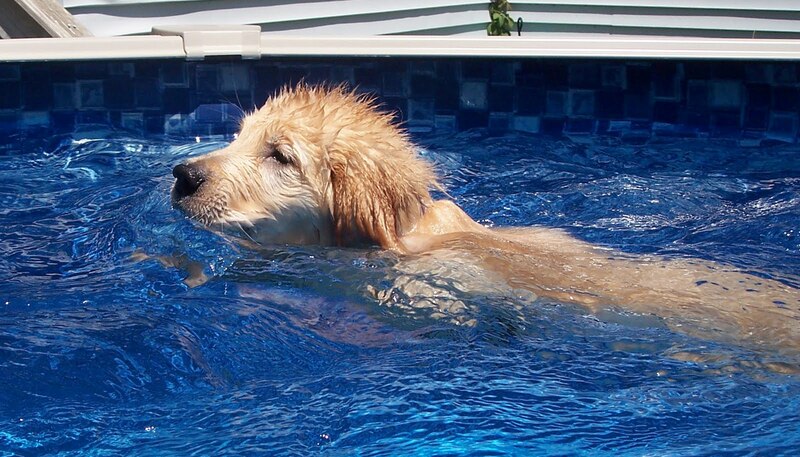 Magica Goldens: Kipling's first solo swim in the BIG pool! 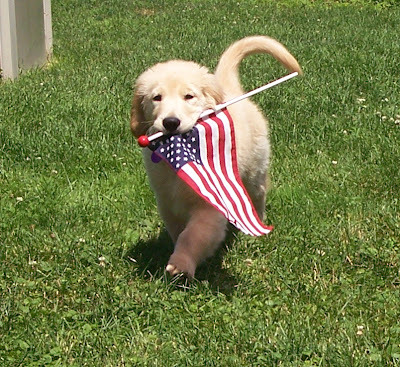 First things first - Kippie would like to wish everyone out there a very happy Independence day! Another flag bearing puppy in a long line of flag carrying puppy shots. 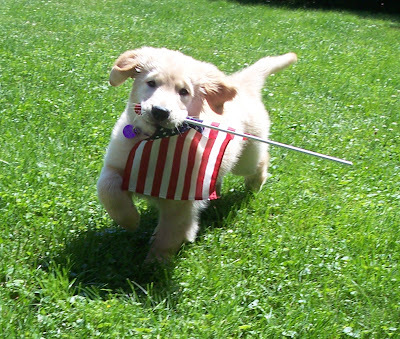 I'll dig up Murphy and Teller's puppy flag shots for another day. And then....I put the big boys inside and gave Kipling a swimming lesson, he's been on the top stair trying to figure out stair number two. Last week I picked him up from the deck and put him into the pool a few feet from the stairs so he could learn to swim to the stairs (the most important skill is learning how to get out of the pool), but he hadn't gotten the second stair part of the water entry. 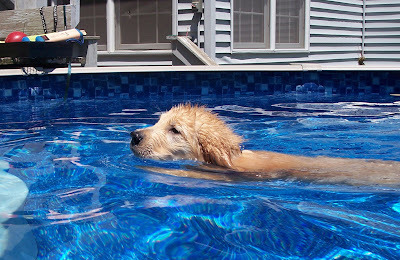 The funny thing is that he never did that crazy puppy flail swim stroke, he face-planted in the first time, swam around, climbed out of the pool and a moment later he was plopping right into the pool with a smooth skilled swimmer stroke and taking a tour of the pool. Hey! 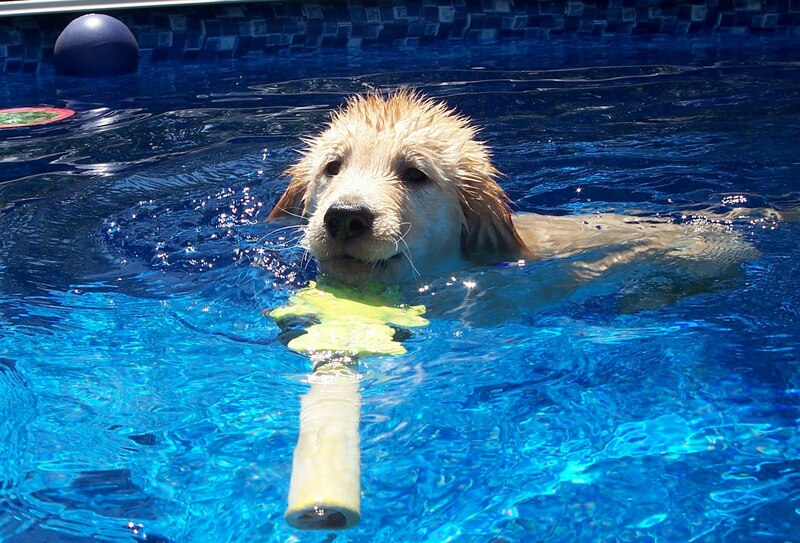 I can swim AND retrieve!!! 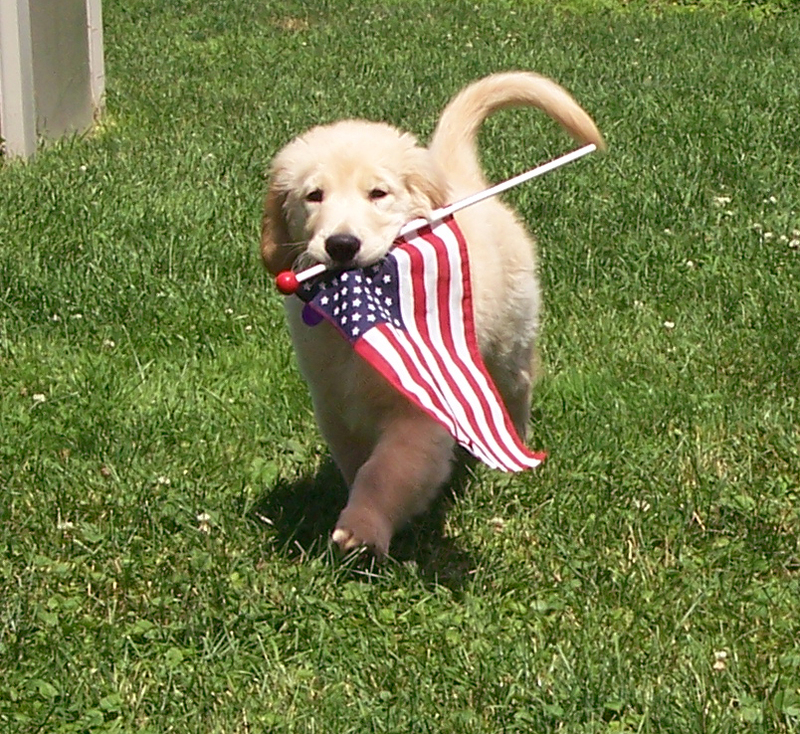 And back to the stairs!